Hurry! 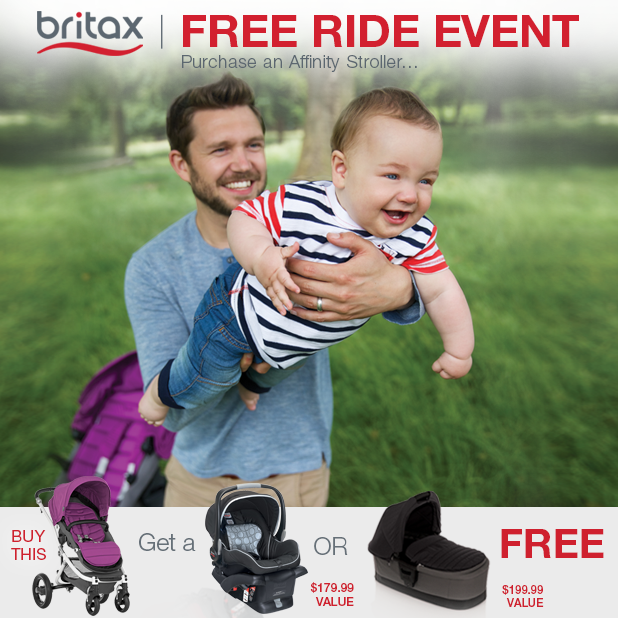 There are only a few days left to scoop up on this great sale from Britax! If you have a little one coming, this is a great deal. We currently have the Britax B-Safe car seat and my little one loves it! This sale only happens a couple of times a year! It's that time again! 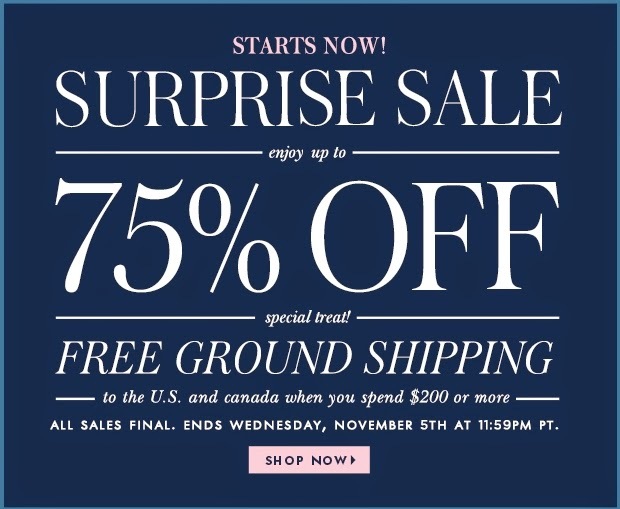 The Kate Spade Surprise SALE! I very rarely jump on items the second they go on sale, but this is an exception. I have the Kate Spade Stevie Diaper Bag and LOVE IT! 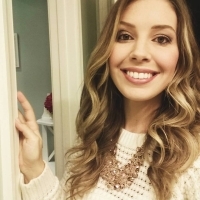 I mean, LOVE! It is so cute that I don't even mind having a diaper bag as my purse. It has plenty of room to hold everything I need. It also has compartments to help keep my organized. 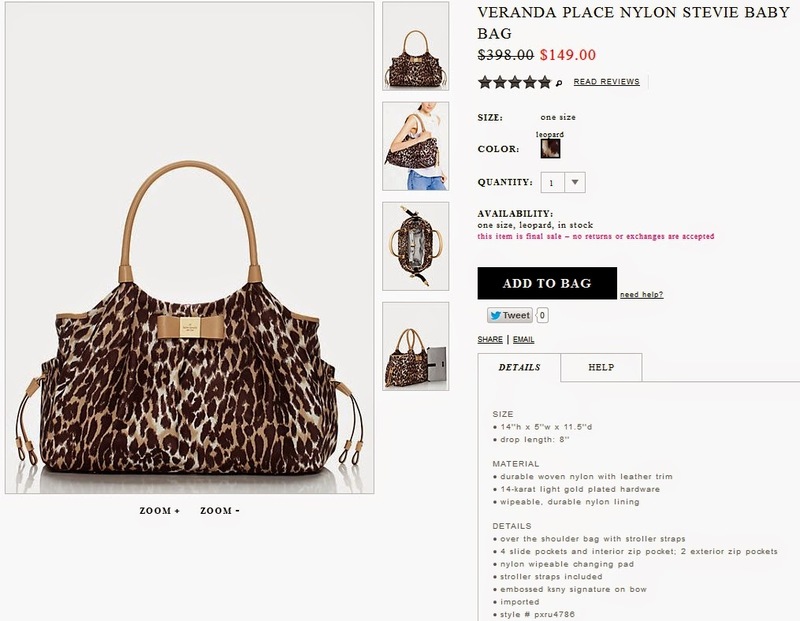 This sale, they are offering a leopard print bag! I have a black and cream stripe one, but I couldn't help but to drool over this one when I saw it. The bag is 63% off for the sale making it only $149.00! It is on sale until 11/5/14 at 12pm (or earlier if they sell out). This is such a pretty bag which makes it a perfect gift for someone expecting!